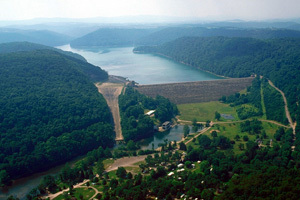 In the heart of the Laurel Highlands and spanning the Mason-Dixon Line is the Youghiogheny River Lake. 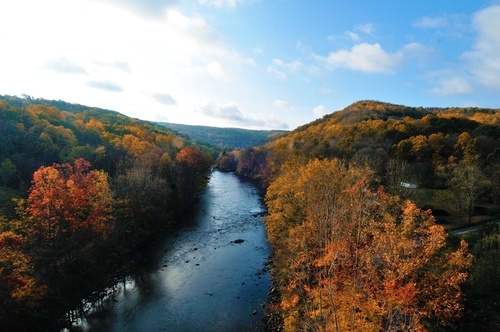 Experience the clean water and mountainous terrain, which provide an unsurpassed setting for outdoor recreation. The lake is 16 miles long and covers 2,840 acres. Visitors can camp, fish, motorboat, jet ski, sail, picnic and many other activities. 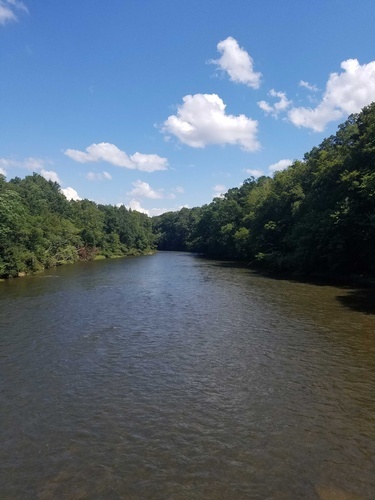 Mill Run Access Area offers a Visitor Center, camping, boat launch, swimming facility and more. For more information, call 301-746-5248.